Are there significant trends that one could identify in the 2018 elections? Is Pakistan in the way to become a stable democracy with three elections since 2008 on a row since 2008? Or, does the 2018 elections raise a few questions as well on the future of democratic process? One could identify the following five major trends in the 2018 elections. Without a doubt, 2018 elections belong to the PTI and Imran Khan. The party may not have achieved a simple majority in the elections at the national level. Outside the KP provincial assembly, the party does not have a simple majority Punjab, Sindh and Balochistan. However, its electoral rise is phenomenal. Consider the following electoral facts. In 2002 elections, the party could not even secure one percentage of the total votes polled. It could win only one seat for the National Assembly. Imran Khan was the only PTI candidate who could win (from Mianwali). In 1997 elections, Imran Khan contested from seven seats and could not win from any of them. When the elections took place in 2008, the confidence was so low, that the party could not even contest. The change started with the 2013 elections. The results of this elections ended up turning point for the PTI and Imran Khan. 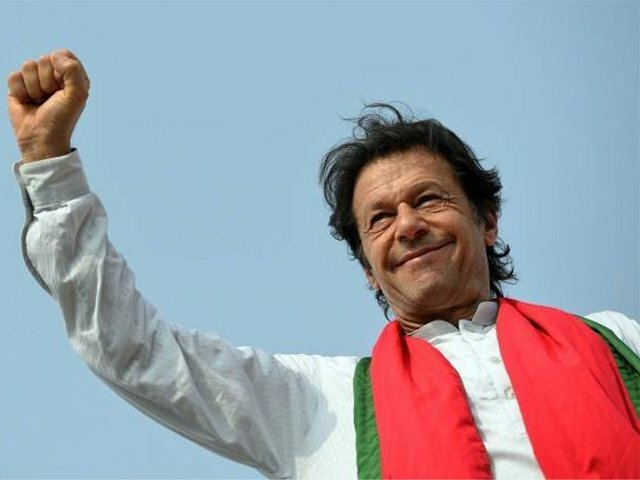 More than the seats it won for the Parliament in the 2013 elections, what became significant at the end of the elections was the PTI becoming the main opposition at the national level. At the provincial level, the PTI also formed the government in KP. There was no turning back ever since. In 2018 elections, the PTI has catapulted into the next level. Look at the numbers. It has secured more seats (116 in the Parliament) at the national level than the PML-N (64), and PPP (43) put together. PTI still may not have a simple majority, yet, it remains the largest party in the Parliament. Second, the PTI not only has got more number of seats than the PML-N and PPP put together, but it has also won the same from all the four provinces. Consider the numbers again and compare it with the other political parties. PML-N and PPP seats for the National Assembly come predominantly from Punjab and Sindh respectively. Whereas, the PTI has won substantial seats for the Parliament from all the four provinces. Third, the percentage of the votes that the PTI polled in comparison with the other parties. The PTI has polled more than 30 per cent of the total votes at the national level. Compare it with the PML-N’s 24 per cent and the PPP’s 13. In the 2013 elections, these three parties – PML_N, PTI and PPP secured 31, 16 and 15 per cent respectively. Though the PPP has more or less retained it the percentage of the votes it had polled, the PTI has leapt forward at the cost of the PML-N and a few other regional parties. Finally, the most critical aspect of the PTI’s rise – its performance in Punjab – the heartland of Pakistan, and the backyard of the PML-N. Not only for the seats for the Parliament from Punjab, but also for the provincial assembly, the PTI’s performance is phenomenal. Ten years ago, in 2008, even Imran Khan would not have dreamt that his party would be in a position to consider forming the government at Punjab provincial assembly! Though the PML-N remains the largest party for the provincial assembly of Punjab, the PTI is only a few seats behind. If the independents join the PTI (as one could witness during the last two weeks), the PTI may even become the largest party in Punjab! In 2013 elections, the PML-N could secure more than 300 seats for the Punjab provincial assembly; it was a complete sweep. The PTI managed only 30 seats. In 2018, the PTI has increased its seats share by four-fold in the provincial assembly by securing more than 120, mostly at the cost of PML-N.
PTI providing an alternative to the PML factions in Punjab should be one of the most significant development of the 2018 elections. The second significant trend one could trace in the 2018 elections is the regionalisation of two major political parties that have formed the government during the 1990s. Today, electorally, the PML-N has become a regional party with most of its seats for the National Assembly coming from Punjab, with a few exceptions from KP and Balochistan. The PPP has become another regional party with most of its seats for the national assembly coming from Sindh. For the provincial assemblies, though the PPP still has a strong presence to form a government in Sindh, for the PML-N, it would not be an easy task to do so in Punjab. The MMA, an alliance of the religious political parties could secure only 12 seats for the national assembly, and get around four per cent of the total votes polled. Most of the seats that the MMA could achieve come from KP and Balochistan. The third significant trend in the 2018 elections is the rout of regional parties at the national level. Though parties like MQM, BNP, PkMAP, ANP etc. have a strong local presence in Sindh, Balochistan and KP respectively, in 2018 elections their bases have further eroded. Consider the MQM for example. In 2013 elections, the MQM at the national level was the fourth largest party, winning eleven seats from Sindh (mostly from Karachi) for the National Assembly and capturing more than five per cent of the total votes polled. In 2018, the MQM could win only six seats, and achieve less than two per cent of the votes polled. Today, the PTI has got more seats from Karachi, the MQM heartland! While the ANP could secure a lone seat for the National Assembly in 2018, the PkMAP could not get that. The ANP has lost its space substantially to the PTI in KP and Sindhi. So has the PkMAP in Balochistan. The only consolation to the above trend is Balochistan National Party (BNP) and the newly formed Balochistan Awami Party (BAP). The BNP has got more seats in 2018 (3) at for the Parliament, than in 2013 (1). The newly formed BAP has won four seats from Balochistan for the National Assembly. A curious trend in the 2018 elections has been the decline of the religious, political parties that contested under the MMA banner, but the substantial rise of the far right – led by the Tehreek-e-Labbaik Pakistan (TLP). In 2013 elections the JUI led by Fazlur Rehman could secure 11 seats and was the fifth largest party at the national level. The Jamaat-e-Islami won two seats; both the JUI-F and JI alone had polled close to 5.5 per cent of the total votes in 2013. In 2018 elections, the religious parties revived the MMA and contested together under one banner. Despite that, it could secure only 4.8 per cent of the total votes polled, and win 12 seats. On the other hand, the TLP, which was formed in 2017, though have not secured a single seat for the national assembly has polled more than four per cent of the total votes! The TLP represents the far right in Pakistan today. The party came to prominence with openly supporting Mumtaz Qadri, the assassin of Salman Taseer, then the Governor of Punjab. Ever since its electoral rise and its street power has become substantial. Though it has neither won a single seat in the 2018 elections nor in those bye-elections in Punjab and KP earlier during 2017-18, the TLP has become a political force. The last trend one could identify in the 2018 elections is the emergence of the PTI as the single largest party in the Parliament. But still, the party does not have a simple majority in Islamabad. The PML-N and the PTI along with the MMA have decided to sit in the opposition. This would mean, a stronger opposition in Parliament to the PTI led government. Though there have been talks about the boycott of the Parliament and not accepting the electoral results, it appears that the opposition parties are likely to pursue the Parliamentary course. The case in Punjab provincial assembly will also be the same. Whether the PTI succeeds in forming the government, or the PML-N retaining it, the opposition is going to be strong and play a dominant role in Lahore. An abridged version of the above brief was first published in the Rising Kashmir.